The government will come out with the first ever Rs 20 coin which will be shaped like a 12-edged polygon with the design of grains to denote farm dominance in the country. 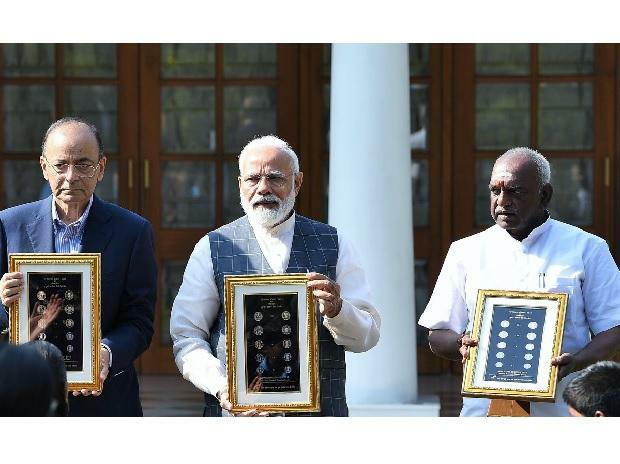 Besides, new series of one, two, five and ten rupees coins too would be minted, which will be circular in design and have denominations written in Hindi script. The exact date of issuance of these new series coins is yet to be announced. The Rs 20 coin will weigh 8.54 gm and its outside diameter will be 27mm with the outer ring made of nickel silver and the centre piece of Nickel brass, a finance ministry notification said. The face of the new Rs 20 coin shall bear the 'Lion Capitol of Ashoka Pillar' with 'Satyameva Jayate' inscribed below. The left periphery will have the word 'Bharat' in Hindi and the right periphery will have the word 'India' in English. The reverse side of the coin would have the denominational value '20' in the international numerals along with the Rupee symbol. "The design of grains depicting the agricultural dominance of the country is flanked on the left periphery of the coin," the notification said. The year of minting in international numerals shall be shown on the centre of left periphery of the coin, it added. According to the notification, the new Rs 10 coin will have an outside diameter of 27 mm and weigh 7.74 gm, while the Rs 5 coin will have a diameter of 25 mm and weight of 6.74 gms. The new series one rupee and two rupees coin will weigh 3.09 gm and 4.07 gm, while the diameter would be 20 mm and 23 mm respectively. The face of all these coins shall bear the Lion Capitol of Ashoka Pillar with the 'Satyameva Jayate' inscribed below, flanked on the left periphery with the word 'Bharat' in Hindi and on the right periphery with the word 'India" in English. As per Coinage Act, 1906, the Government of India has the sole right to mint coins and the responsibility for coinage vests with the Government. The designing and minting of coins in various denominations is also the responsibility of the Government.